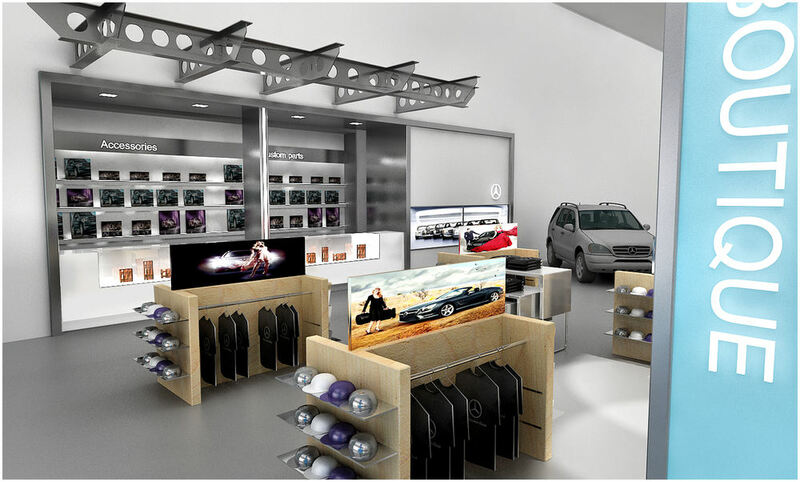 This smart and bright retail and cafe concept was developed for a New York based Mercedes-Benz dealership. Client needed a design solution for their reception / atrium area. This layout is simply inspiring and can entertain clients while getting their services provided. Series of mini architecture were created for different functionality and purposes. An ingenious placement of the cashier overlooks majority of the retail area and can easily provide needed assistance.